Sage won’t make anyone immortal, but its anti-viral, anti-microbial and drying effects make it essential for alleviating the mucus and phlegm that come with colder weather. As a culinary herb, it’s safe and easy to chop into soup, but gentleness isn’t weakness. Sage (Salvia officinalis) is helpful for conditions as diverse as skin problems, Alzheimer’s disease, cancer, and depression. The dried herb, available in any grocery store, can be made into a tea in a pinch, and the essential oil, the concentrated essence of sage, can help lift mood and clear anxiety. Like any powerful medicine, it’s vital to know what it can do and to use caution in some instances. 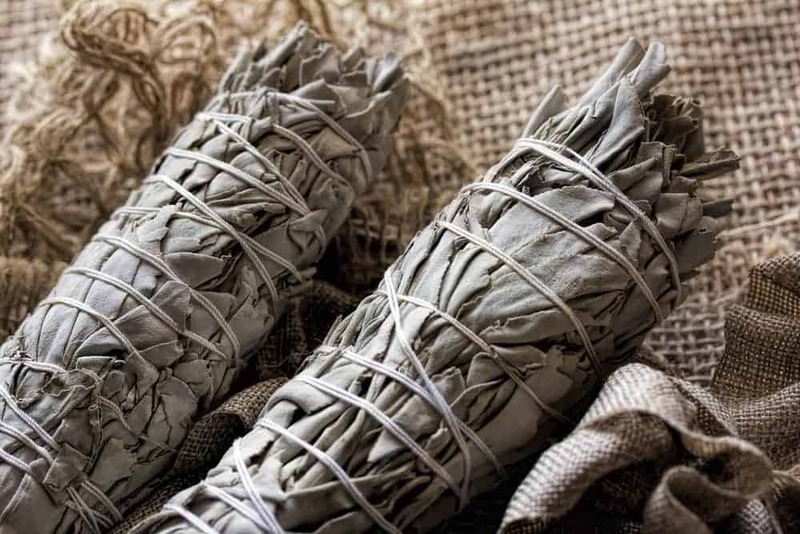 Sage is not toxic, but affects that are beneficial in one instance — drying up excessive sweating, for example — can be detrimental in another, such as drying up breast milk in a nursing mother. Sage is drying and slightly heating, making it perfect for winter colds that are characterized by lots of phlegm or mucus, but not necessarily a fever, said Viji Natarajan, a former pharmaceutical chemist turned Ayurvedic specialist. Ayurveda is one of humanity’s oldest medical systems, which sees a connection between the outer world and the inner experience; Ayurvedic practitioners can describe anything according to its elemental qualities, and “marry” the qualities of a medical condition to a medicine that would balance out the disease. 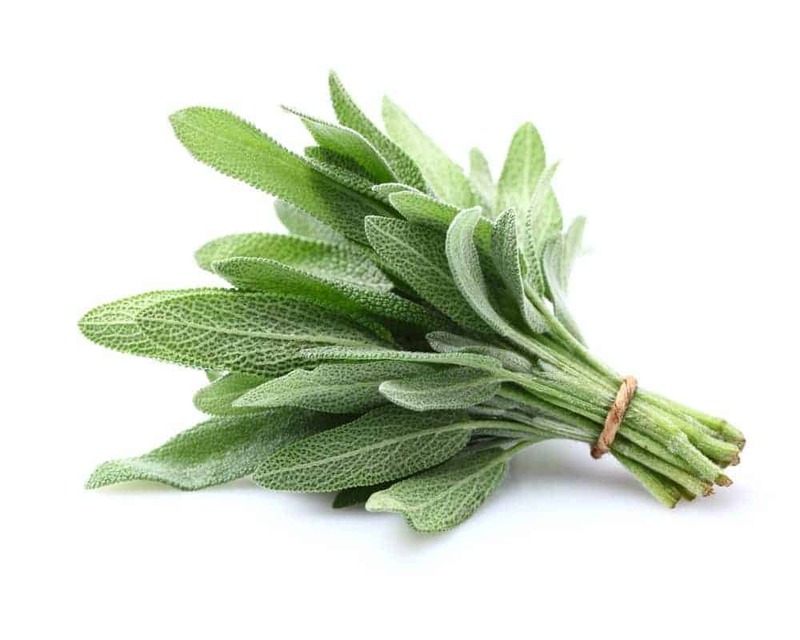 However, she cautions that sage wouldn’t be best for people who are very weak with dry skin or dry coughs, or people with high fevers. Sage is good to dry up excessive moisture, but may exacerbate high fevers and dryness. However, research does show that sage is anti-microbial and anti-viral, and reduces swelling in swollen lymph nodes, making it a perfect and gentle remedy for colds with lots of phlegm. 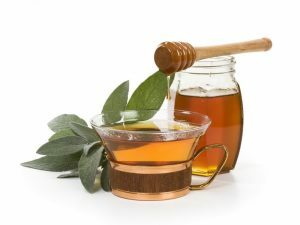 For another way to dry up mucus with sage, herbalist Maia Toll gently heats one cup of honey or agave syrup to make it runny, and then adds just one or two drops of therapeutic-grade essential oil. She puts some of the infused honey in tea. Sage tea is great for drying the excess mucus associated with colds and flus. Via: Irina Fischer | Shutterstock. In Ayurveda, some herbs are known to have special qualities, and Natarajan said sage has a unique effect on nerves. She recommends adding a few drops of sage oil into a bowl of hot water and inhaling its diffused aroma. “Sometimes, when someone has a cold with heaviness in the head, it can affect the mood and the nervous system. When you diffuse the essential oil, it can clear your nasal passages, and also clear your mind,” she said. In fact, studies have validated the traditional use of sage for depression, memory, and mood. And despite years of use, there were no reports of negative side effects in the literature. Studies have validated the traditional use of sage. Via: lkurugan | Shutterstock. When registered nurse Christie McLaughlin had her first child, she got mastitis, for which sage is great remedy. Because it dries breast milk production, sage shouldn’t be used by nursing mothers, or pregnant women generally, except in very late-stage pregnancy because it helps draw the baby downward, gently helping induce labor. Sage’s drying effects work in the same way for other problems involving excessive moisture. It’s been used for centuries to treat wounds, ulcers, and bleeding. It can also balance out excessive seminal fluid or sweating, McLaughlin said. She also recommends sage essential oil for cosmetics. McLaughlin recommends sage oil for skin care. “It reduces wrinkles, scarring and angry stretch marks,” she said. But she emphasized that sage essential oil should never be used neat. Always dilute the essential oil in a carrier oil, such as olive oil. “It’s best with something that’s solid at room temperature, such as coconut oil or shea butter,” she said. Simply put a jar of coconut oil or shea butter in a pot of just-boiled water to melt it and add a few drops of essential oil, or melt the oil or butter gently over a double boiler to avoid burning it. Sage essential oil can be added to shampoo to treat dandruff or oily hair, too, she said. Naturopathic doctor Jennifer Burns also recommends sage for acne, thanks to its anti-microbial and anti-inflammatory properties. She also recommends sage for decreasing hot flashes by helping the body use estrogens. “It has antioxidant properties which can help in the decrease of free radical damage, which can reduce inflammation,” she said. Sage’s antioxidant properties make it a promising herb for cancer prevention and treatment. Being a gentle culinary herb, nearly anyone can use it in food to take advantage of its antioxidant properties, while its anti-viral and mood-enhancing properties make it promising for soothing late-stage cancer patients. Sage extract was found to inhibit angiogenesis, the development of new blood vessels in tumors. Because of this, the study authors said sage may be a good plant to investigate for new cancer drugs. Sage tea also prevented colon cancer in tests on rats. Often cancer patients have sensitivities, and while the smell of the essential oil may be helpful in alleviating fog, boosting mood, clearing nasal passages, and relieving aching heads, it may be too intense, in which case, nurse McLaughlin recommends rubbing the feet with a carrier oil that’s infused with a few drops of sage essential oil. 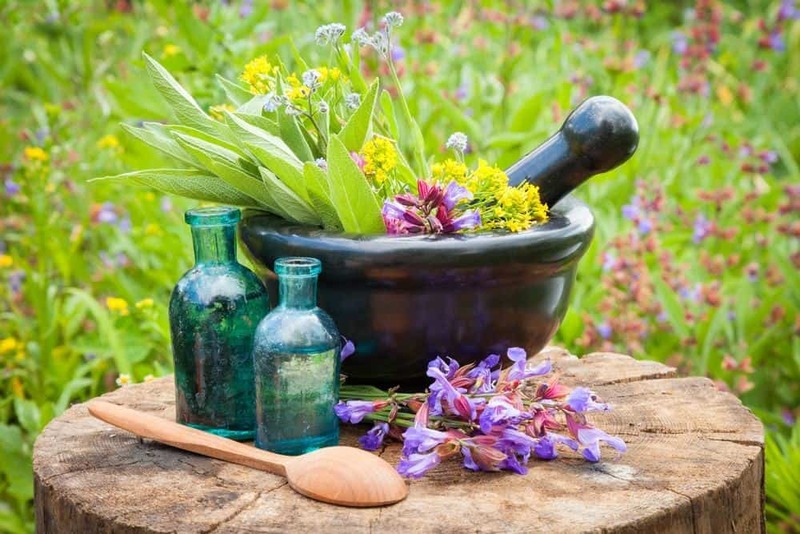 Essential oils are the pure extracts of an herb, and buying therapeutic quality is essential; McLaughlin recommends the Plant Therapy brand because of its reliably high quality. “If you see discount essential oil, it may contain additives, sometimes petrochemicals. Frankly, brands like that aren’t doing anything wrong — the industry is not very tightly regulated — but you want to make sure the oil is therapeutic grade. There’s a difference between therapeutic grade and an oil that’s made for crafts such as candle making,” she said. “Essential oils are volatile. Some need to be refrigerated, some left in the dark. They have a more narrow window to keep fresh and at therapeutic level,” she said. Also, purchase high-quality supplement capsules if intending to ingest the oil, rather than making capsules. Sage is easy to grow from seed, too. The plant tolerates plenty of neglect as long as it has lots of sunshine, and it’s hardy in most regions of the United States. The flowers attract pollinators during the summer and the shrub’s interesting texture is beautiful in a garden. Sage is a humble culinary herb available in any grocery store, and its anti-viral, anti-microbial, anti-aging, drying, toning, and mood-enhancing properties make it a perfect addition to the spice and medicine cabinets.